Every cyclist is filled with a warm glow when their city decides to spend some money building cycle infrastructure. We’re easy-to-please taxpaying citizens. Let’s have a look at how that money’s spent. 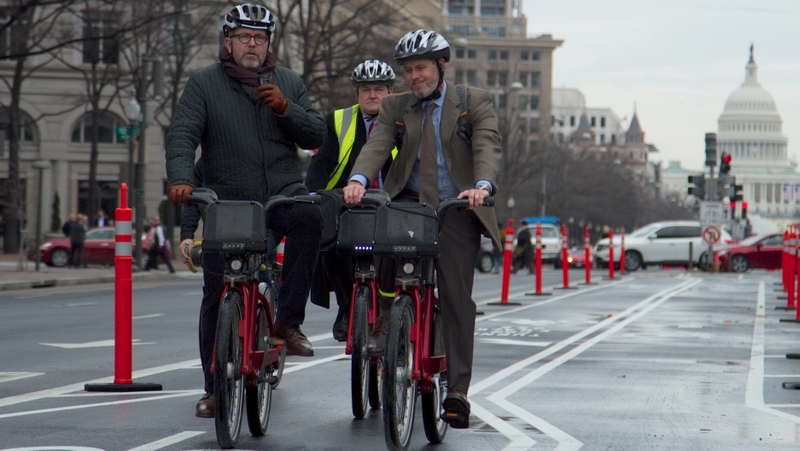 At his inauguration as President of the United States of America, Trump walked down a cycle path – the reason being that the path is slapped bang in the centre of one of Washington DC’s busiest streets. 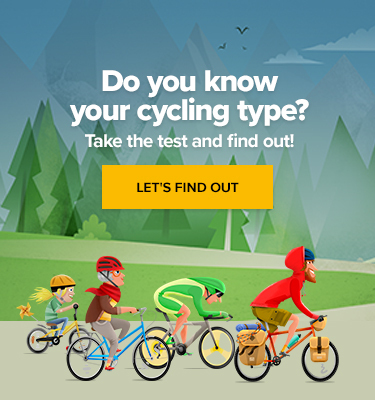 With fast moving traffic either side of you, getting on and off the cycle path is the most dangerous part of your day. 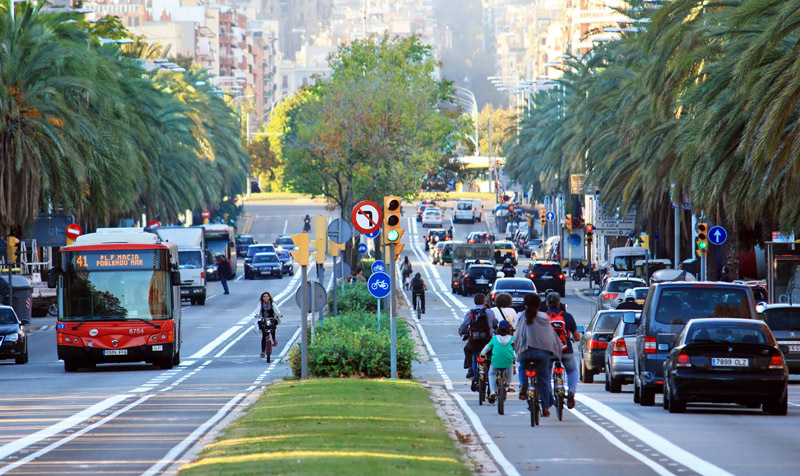 As the world laughs at America’s cycle lane problem, it’s worth remembering that the Spanish are guilty of exporting their worst ideas to America. 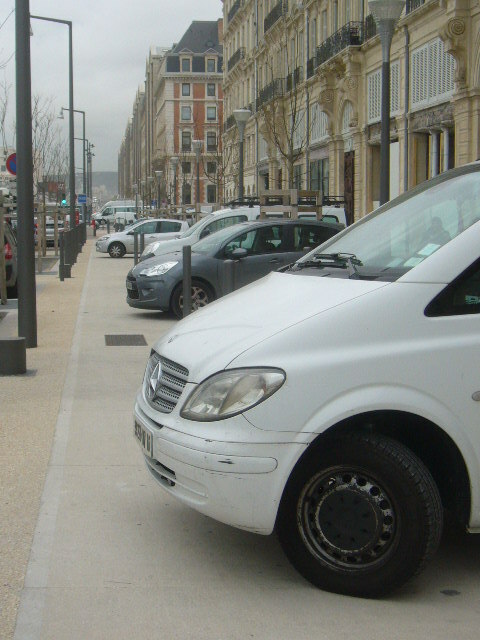 The lane from Marina Street to Avenida Icaria is the perfect example. Just like Trump Walk, cyclists find themselves penned in on both sides by fast moving motor traffic with nothing but a painted line to separate them from the risk of collision. Have fun getting on and off this cycle lane. 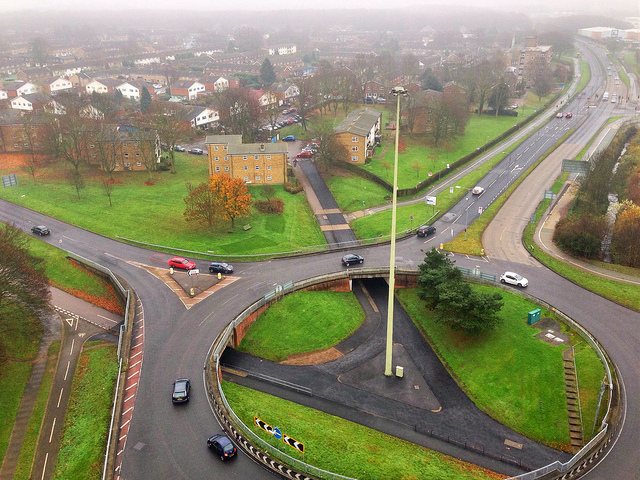 Probably one of the greatest tragedies in cycling infrastructure is the entire town of Stevenage. A new town just north of London, Stevenage was invested in heavily to create a Utopian town in the same manner as Bracknell further west of London. Where Bracknell’s segregated cycle paths are loved and used, Stevenage’s feel more like a ghost town and are in much need of love. What Copenhagen, Amsterdam, and Utrecht would give to have such wide cycle paths. This town has many odd cycle features, including a 3-foot cycle path in the middle of a pedestrian pathway that literally goes nowhere. But the biggest fail has to go to Reading’s many painted cycle pathways. 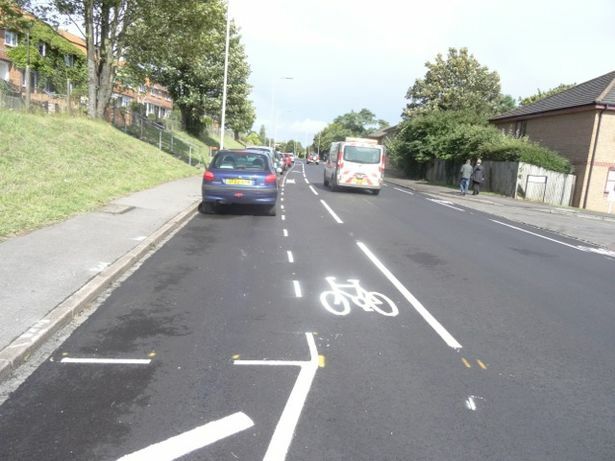 In many parts of Reading, cycle lanes are painted next to parallel parked cars making Reading cyclists unwitting contenders for the door prize. 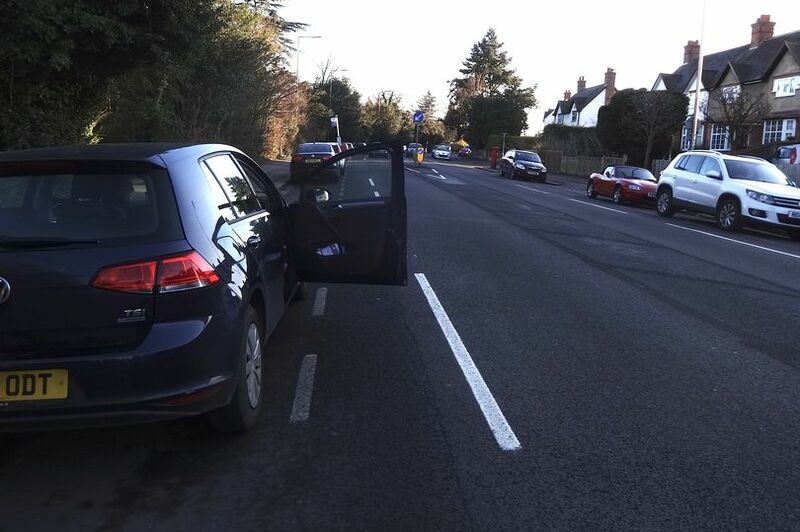 Although Reading’s council is slowly waking up to the value bikes have in helping to keep traffic moving, many cycle lanes cross in front of residential driveways on pedestrian pathways – meaning cyclists have to choose between risking the safety of pedestrians with their own safety on the roads.